Sky TV abroad in 1080p HD viewing. Sky sports and Sky Cinema in Belgium. Enjoy our very own Sky TV Europe subscription service through the installation of a Sky + HD box, Now Tv or Sky Go for Belgium. Premium English language TV viewing packages are available through our Sky viewing cards anywhere in Belgium. Used with a Sky + HD box Drx890 you can have full access to record and live pause through Sky and Freesat channels in any area of Belgium. There are over 400 premium channels available with many in HD. As Europe’s leading provider of Sky Cards and premium Sky subscription packages to customers all across Europe, we are delighted to offer sky cards and satellite receiving equipment throughout Belgium. We specialise in providing English TV to customers living and working throughout the Benelux region. So if it is Sky TV in Belgium or Now TV in Belgium you are after we have this covered. BBC, ITV , Sky Sports, Sky Cinema and more are covered anywhere in Belgium. Television reception through a Sky box and a Sky UK viewing card is widely available in Belgium even for the Sky HD pack. 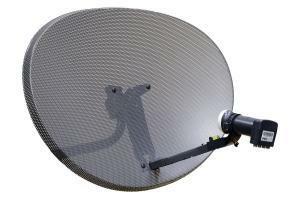 In Belgium, you only require a Zone 2 Sky dish (as shown) to receive a clear signal from the Astra 28.2E Pan-Europe satellite beams, although we usually recommend you use a dish at least 1 metre in diameter for optimum reception quality. Sky TV picture quality in Europe greatly varies depending on the signal strength in your region which may be affected by local terrain. English telly in Belgium is only a click away. Visit our order page to subscribe to British TV in Belgium. To be sure of the correct size dish required where you live, please contact your local satellite dish installer for confirmation. You could be watching Sky in Belgium within a couple of days. Additional channels available in Belium include BT Sports HD, Racing UK, Zee tv, Sky Asia, Premier sports and American sports broadcaster ESPN HD. Skycards.eu offer the very best broadcasting through satellite or internet in Belgium. So if it’s over a thousand Moives or English Premier league football for Belgium we have it covered. What parts of Belgium can I receive Sky TV signals?